Aspire! 's "Theory of Change" is based on the Early Warning! and Early Warning! Confirmed reports on education by the Annie E. Casey Foundation. Aspire! bolsters upper elementary students' reading by providing targeted daily support, using guided reading strategies based on the research of Fountas and Pinell (1986). Our evidence-based methods work. 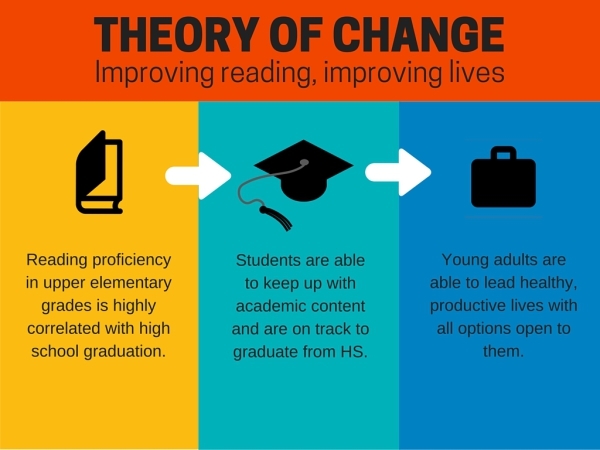 Each year, more than 90% of our students improve their reading skills. Aspire! also bolsters STEM/STEAM (Science, Technology, Engineering, Art & Math) skills and reinforces general academic content through regular project-based learning activities, including our annual science fair. Learn more about our award-winning afterschool and summer program, Learning ROCKS!